A non-profit that serves the community. 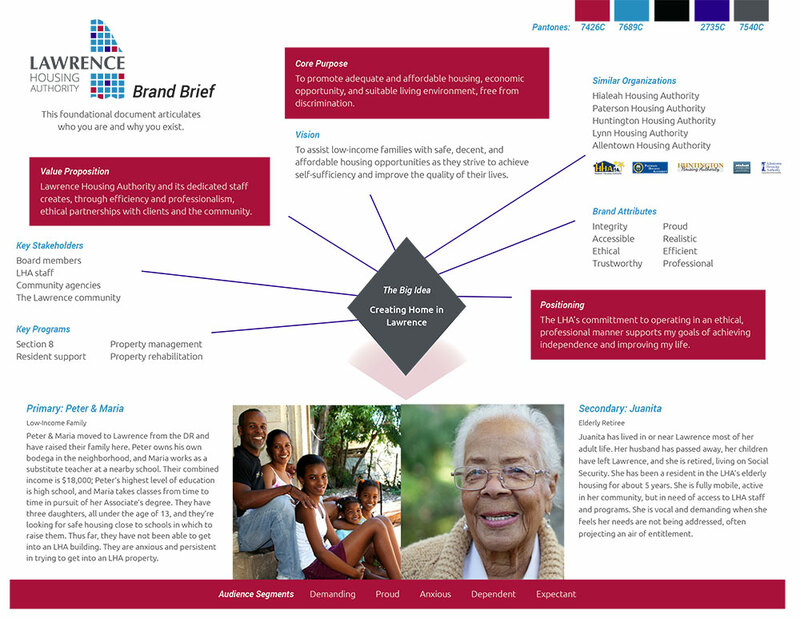 Lawrence Housing Authority approached us to renew their brand identity and design their very first website. Their original branding, created in 1938, was only updated once, in the 1980s, when the presiding executive director changed only the color. The spirit of the town of Lawrence, a low-income town north of Boston with a 90%+ proud Dominican population. The geographic area, characterized by the Merrimack River, some of the largest mills in the nation, and a rich history. The dedicated Lawrence Housing Authority staff who exemplify boldness and professionalism. 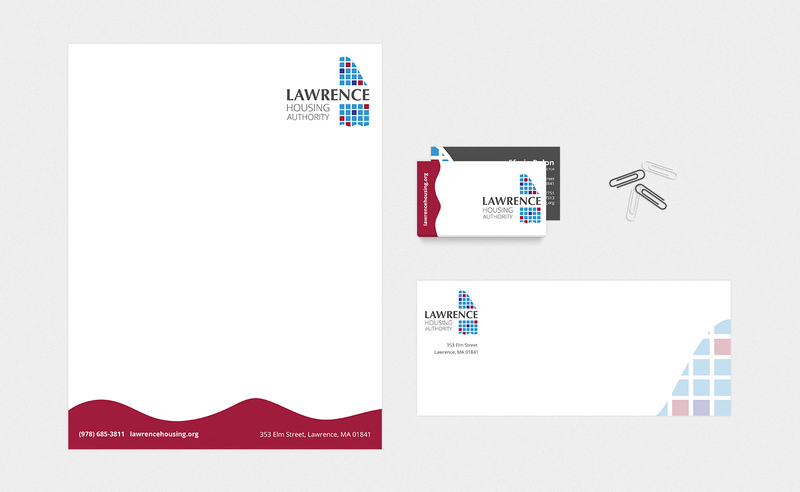 We translated this information into a logo design that embodies Lawrence Housing Authority’s Big Idea: Creating home in Lawrence. It evokes the themes of the centrality of the HA in the community. The block design + wave + incline are reminiscent of one of their more popular properties, the Merrimack River, and the valley surrounding the town. 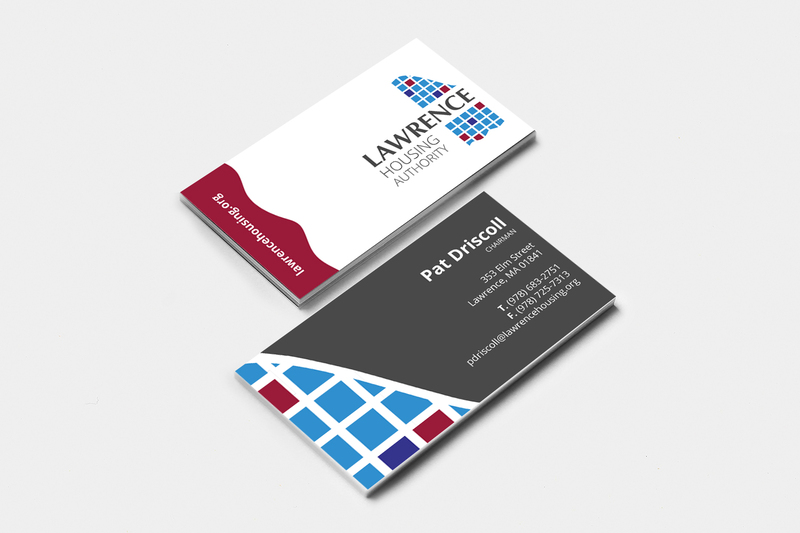 We’ve created business cards and stationery to match the style derived from the development of the brand brief. Their new website is underway.